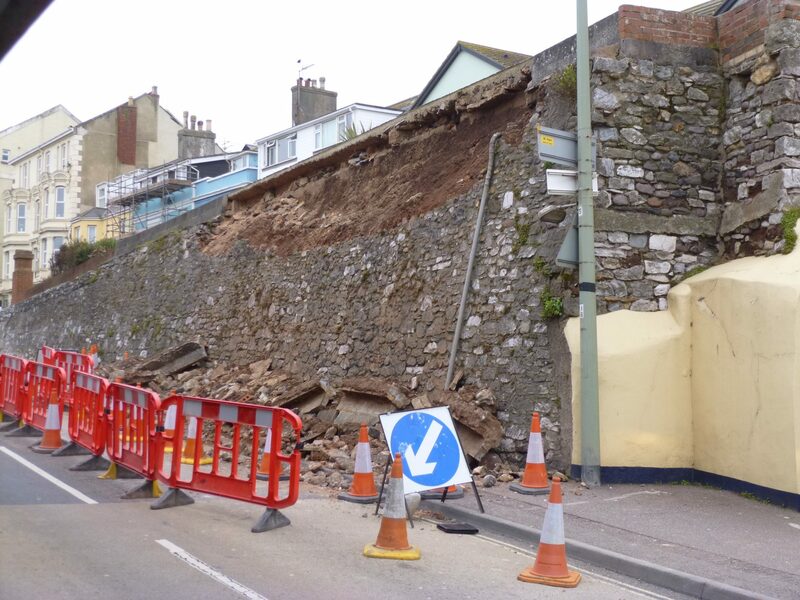 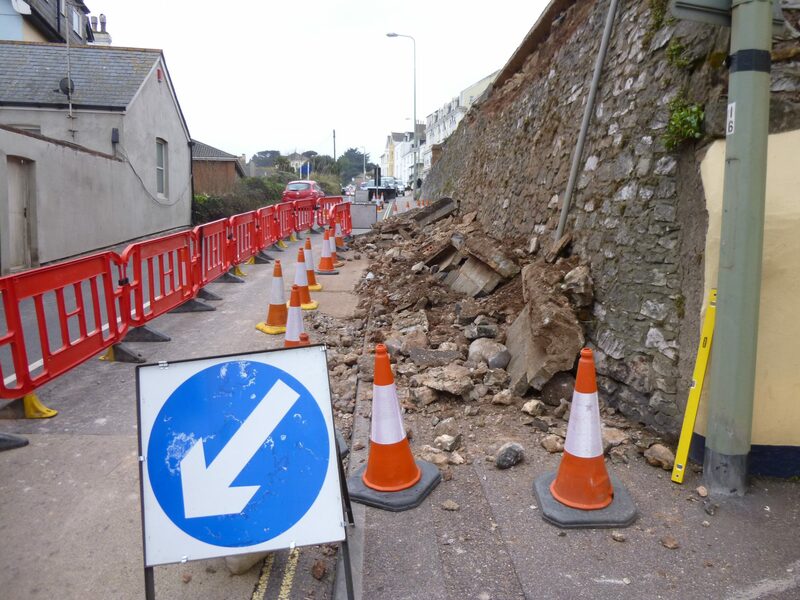 The same storms that claimed the nearby sea wall caused damage to this prominent wall along the main road into the town. 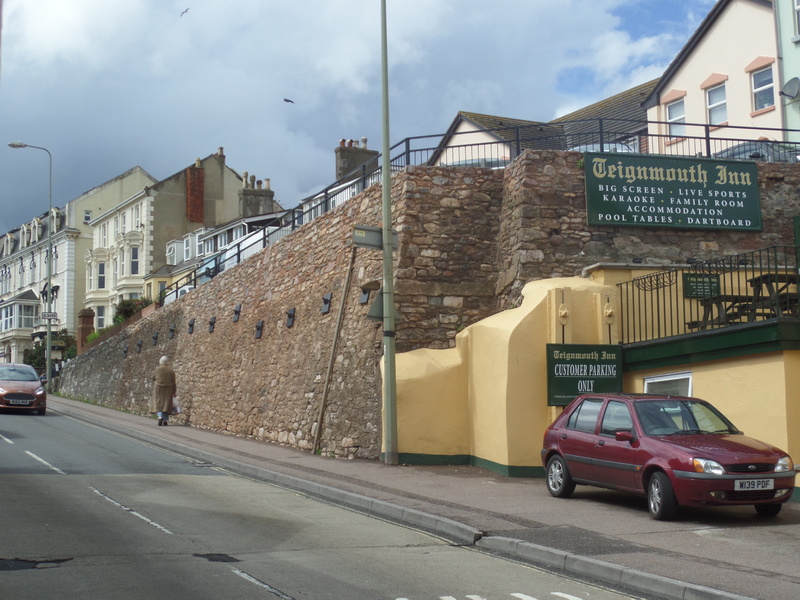 The main historic part of the wall remained largely unaffected but the modern masonry parapet around the parking area to the top of the wall collapsed. 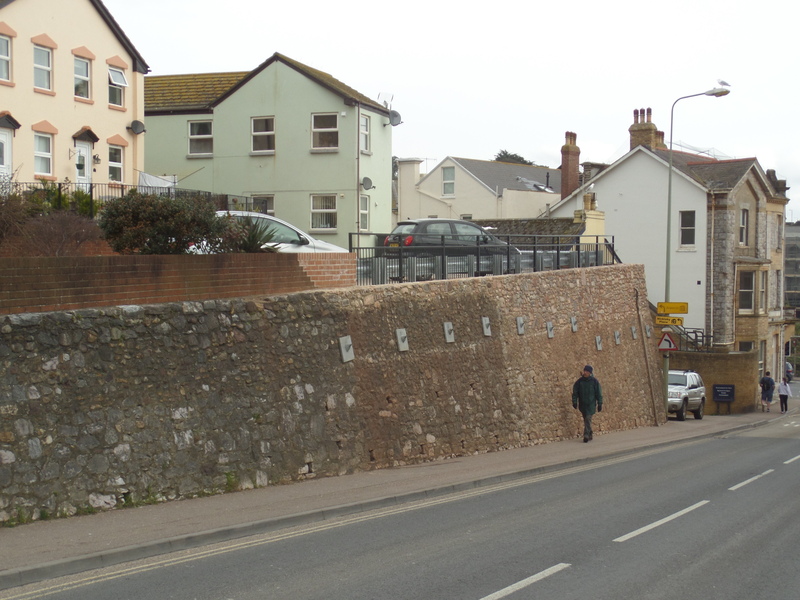 James Lockyer Associates devised a scheme to reinstate the parking area providing protection to vehicles and pedestrians using the area to the top of the wall. 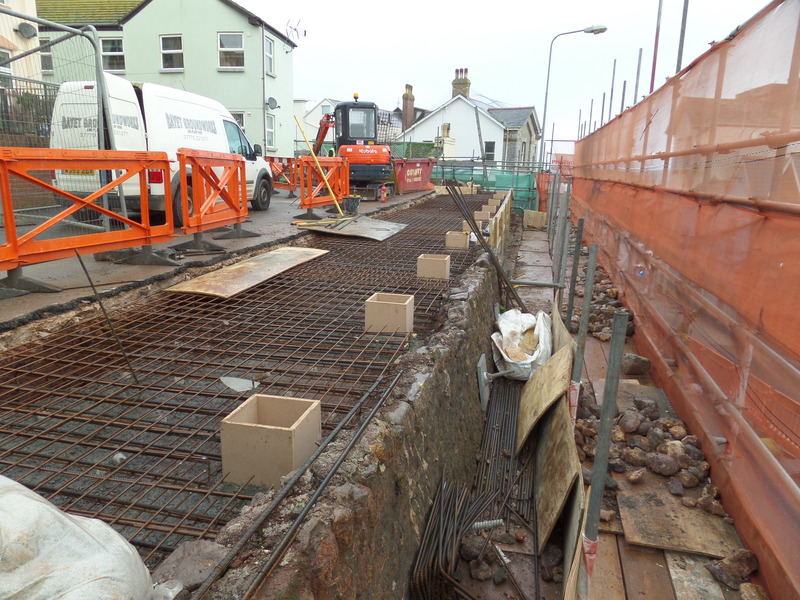 The design avoided additional load to the old retaining wall with the use of piles to support and restrain a reinforced concrete slab which was designed to cater for accidental impact loading to the parking barriers in addition to load from vehicles themselves. 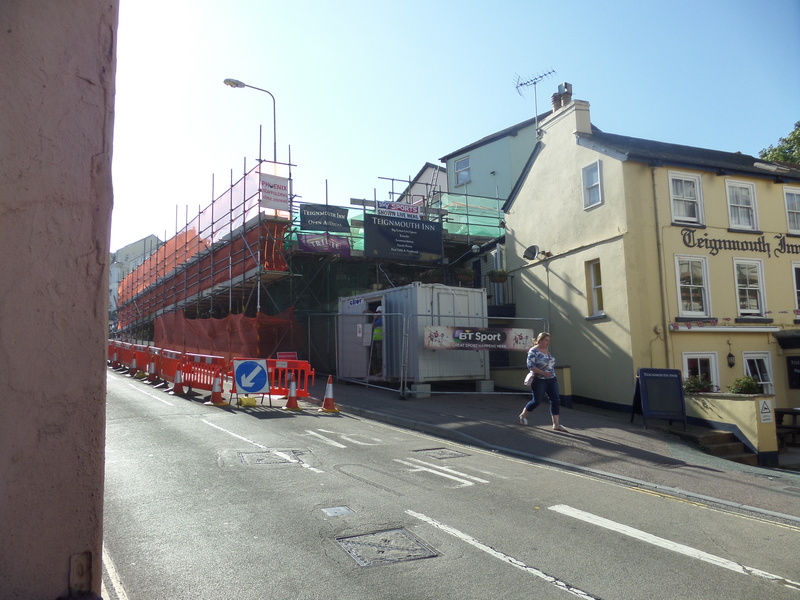 Although the design was completed relatively quickly, queries regarding ownership and liability took some time to resolve to enable the contract to be awarded with three client parties identified.